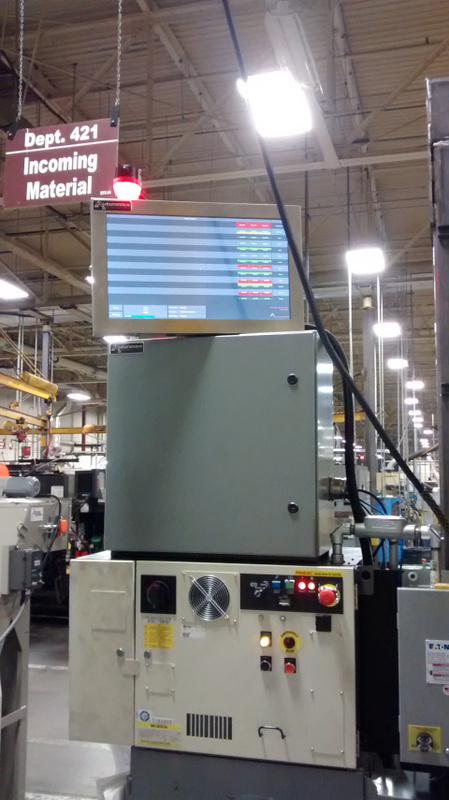 Autonetics brings gauging inside the machining envelope. This in-process gauge removes all the guess work from the manufacturing process by providing measurements in between cutting passes on the part. With this data the machine tool can adapt in real-time to the process, producing a perfect part every time. This measurement system was delivered as a single part: the gauging head. 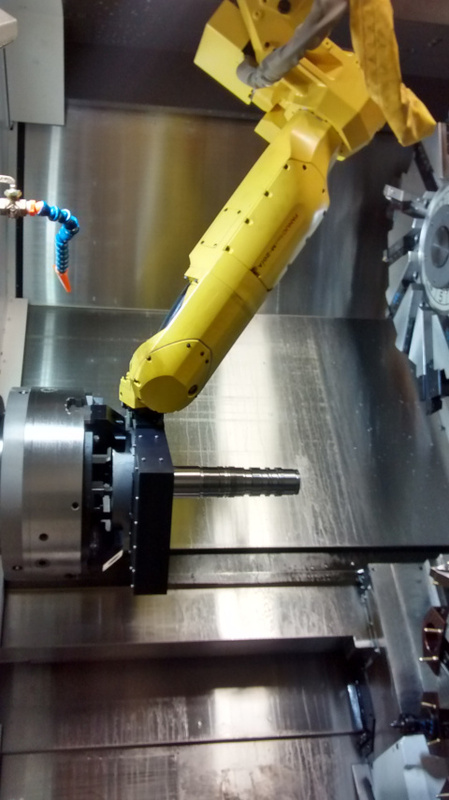 This head was adapted for the FANUC robot tending the cell. A quick, automated tool change is all that is required to change between the part gripper and the inspection head. 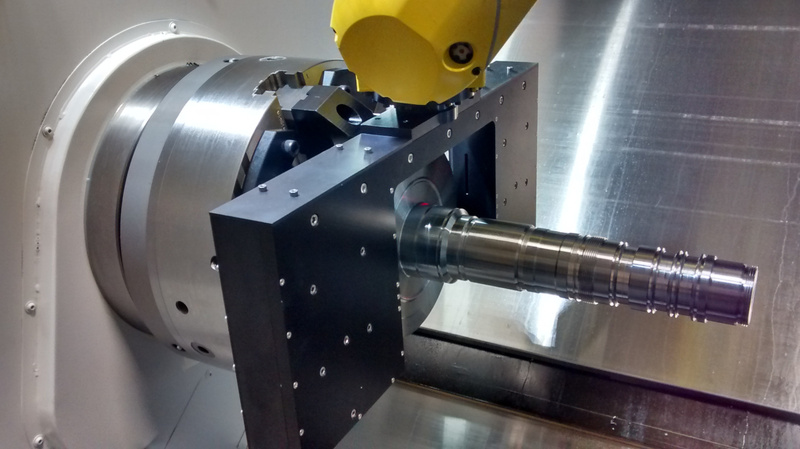 After the first roughing pass with the tool, the robot brings the measurement head into the machining envelop and positions it at the end of the part. A scan is then started and the robot move across the length of the part. Using the robots’ axis encoder data paired with the sensor values, a 2D point cloud of the part is constructed. This point cloud is quickly processed and various diametrical and axial features are analyzed. These results are immediately available on the Autonetics HMI. Additionally the measurements are automatically sent to the machine tool allowing the final cutting pass to remove the exact amount of material required for a prime part. Once the last cutting pass is made the part is scanned by the Autonetics gauge once more for a final determination of the part.